Combining the Compli-Mates Aneroid Sphygmomanometers with the very popular Sprague Rappaport Stethoscopemakes this Combination Kit popular with nurses and EMT's. 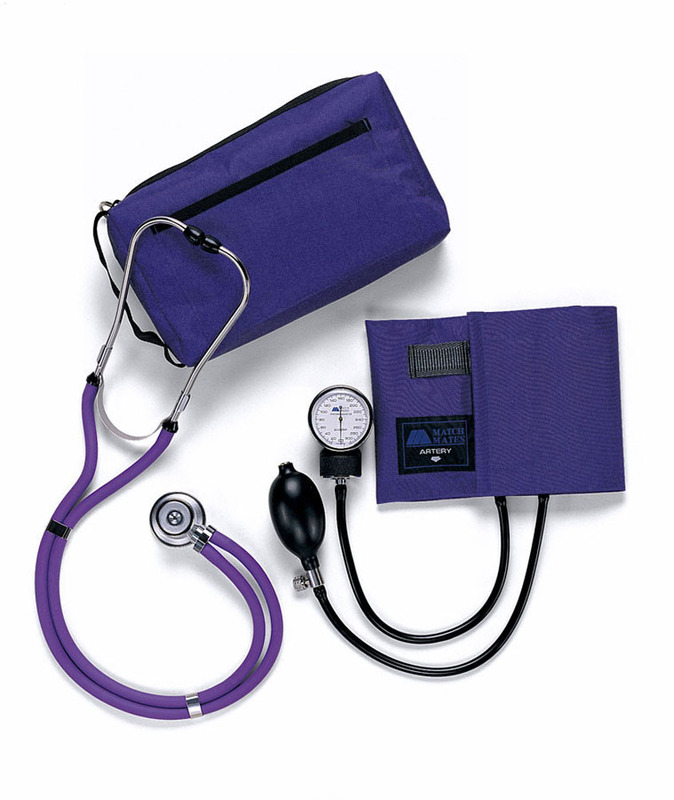 Kit comes with an aneroid sphygmomanometer and a 22" (56 cm) Sprague Rappaport stethoscope. Packed together in a matching nylon carrying case. Available in Magenta, Purple, Royal Blue, Black, Lavender and Hunter Green.